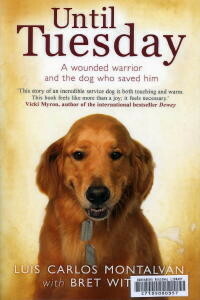 This is a book of will power of a wounded veteran and understanding of a broken service dog. It is about how a service dog can make a really big difference to the life of a specially abled person. How they can help you cope up from PTSD and other related symptoms. It also brought out the discrimination faced by people with service dogs at shopping marts, restaurants and other public places. It is a heart touching story of bravery and will power. If you are an animal lover you’ll love it and if you aren’t then you’ll fall in love with at least dogs.